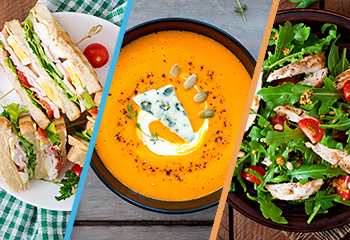 It’s been called the “Iron Triangle of Health Care,” but sometimes I call it “The Panera Pick 2 Rule” – whereby you have to choose between sandwich, soup, and salad, but you can only have two. I assume you are familiar with Panera Bread, so let me tell you about the Iron Triangle and how a recent article in The Lancet may provide clues on how to disentangle that nearly legendary triangle in mental health. Dr. William Kissick is credited with the introduction of the Iron Triangle idea in his 1994 book, “Medicine’s Dilemmas: Infinite Needs versus Finite Resources.” As illustrated by Kissick, the vertices of the triangle are cost, quality, and access, and the moment you pick two, the third is missed. So, a low-cost system with good quality runs into access problems; a system with broad access and good quality causes costs to explode; and finally, a system with access and low cost causes quality to suffer. If these scenarios sound familiar, it’s because they are. So, a low-cost system with good quality runs into access problems; a system with broad access and good quality causes costs to explode; and finally, a system with access and low cost causes quality to suffer. We face this triangle in mental health systems, and we need to look out for it constantly. The question is how. How can we provide access, at a reasonable cost, to quality behavioral health interventions? This question takes us back to The Lancet article. By showing this possibility, the article seems to point to an escape from the Iron Triangle as these BA interventions by “junior mental health workers” provide access and quality at a lower cost. Scrutinizing the results a bit further, we learn that about 66 percent of patients recovered from their depression at the end of the trial in either group. By showing this possibility, the article seems to point to an escape from the Iron Triangle as these BA interventions by “junior mental health workers” provide access and quality at a lower cost. These workers go by many titles. For example, in Arkansas, we have the category mental health paraprofessionals. As a professional mental health worker, these results could potentially be a source of dismay – given the potential to devalue psychotherapy and the importance of professional training itself – or hope. Let’s take the Hope route. The hope is that results such as these could, and should, help us imagine a better mental health system, one where a broader spectrum of interventions can be offered by a broader spectrum of providers. This should not in any way diminish the role and importance of mental health professionals in our field, but yes, reconfigure our roles as supervisors, experts, and providers of care to a different – more severe – subpopulation instead of a random allocation of resources. This reconfiguration of the mental health system will have to face the Iron Triangle, which will require not only good science, but also imagination and courage. Our patients deserve nothing less. Interesting study; could you post citation for it? Thanks. The first link given in this post goes directly to the article.